Groundbreaking music theory app for teachers, students and enthusiasts alike. Students can practice and play, review lessons, complete tests and take assignments. 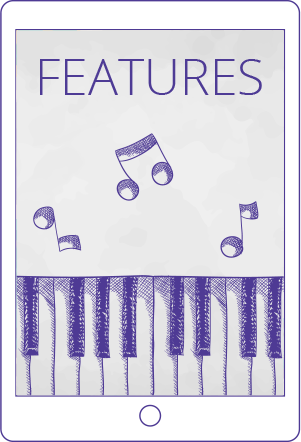 An interactive teaching approach to assignment makes learning music theory fundamentals fun and easy. The assignments evaluate student performance in real-time and adjust dynamically to optimize the learning curve for particular area of instruction. The system provides a teacher dashboard, study plan templates, progress tracking, report cards, assessment tools, analytics and much more! 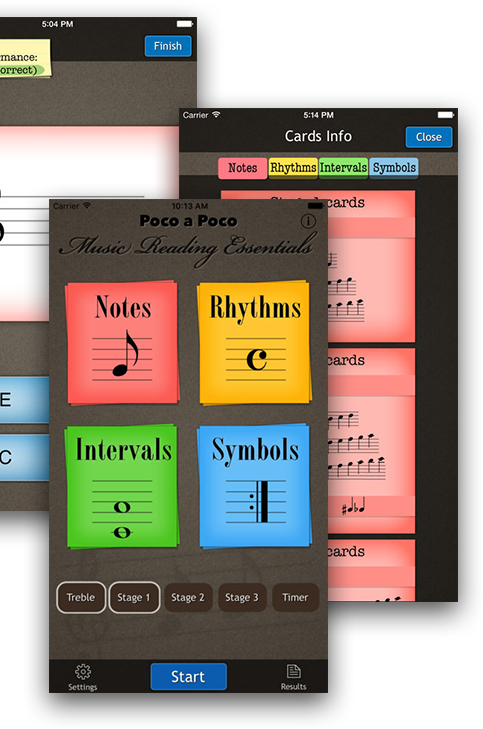 Start practicing Notes with Poco a Poco and you will see how your sight reading skills are improving over time. The smart algorithms in Poco a Poco will create specially designed exercises targeted to your skill level. Learn and refresh your music theory knowledge with interactive guides designed for each kind of exercise. Track your daily, weekly and monthly progress to find how you are improving and what you still need to practice. 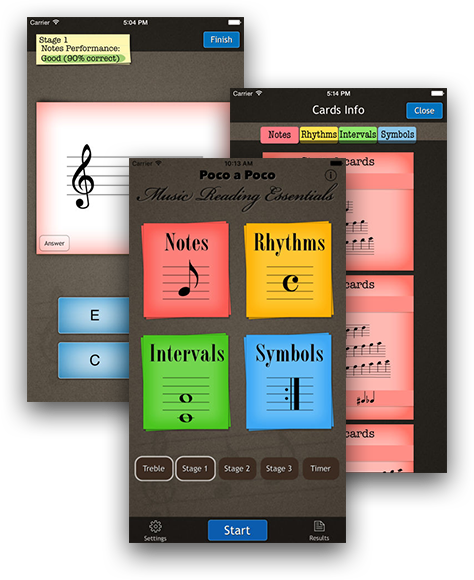 “Music Reading Essentials” helps learning and practicing sheet music reading, understanding musical signs and symbols, note names, rhythms, intervals and more. 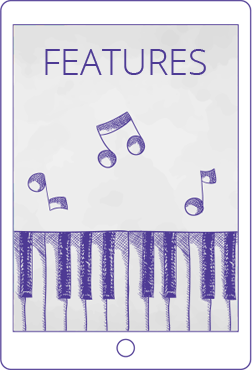 Designed with the extensive help of professional piano teachers, this fundamental tool is for those who are learning to play piano or other musical instruments, as well as for anybody else who needs practicing music theory and sight reading. Our specialist will respond to your inquiry soon. © Copyright 2017-2018 Notagram, LLC. All rights reserved. Legal Notices.